Beautiful golden pins show the 24® logo in color. 1/2'' x 1/2'' pins have tie-tack-type back. 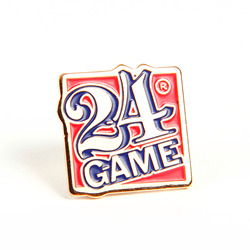 Great gift for Team Leaders, students, anyone who loves the 24® game! Pack of 5 - $10.00.